Poor posture has become a natural view at work with more people working at desk jobs now more than ever. The number one cause of poor posture is sitting incorrectly for a long period of time. Not only is poor posture not nice to look at, poor posture also causes severe back pain. If you have had this problem for years and find that correcting your posture is a very hard thing to do, do not lose hope. Weight training can surprisingly do a lot in correcting your posture. To ensure that your workout is correct, make sure to consult the best gym in your area. 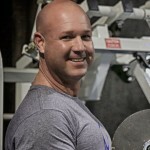 If you live in or near Birmingham, the best personal training gym in Birmingham, Al. 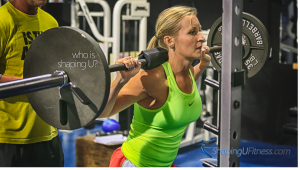 Shaping U, offers the best and accommodating personal trainers and boot camp instructors to teach you how to correct posture through regular weight training exercises. The target of deadlifts is usually the lower part of the body, the legs, lower back, and the core. It is usually done in order to improve strength and obtain power, but according to people who do deadlifts, it can significantly strengthen the spine and back muscles thus improving poor posture. To start with this training, place a barbell in front of you, stand as if preparing to squat, then grip the bar by placing both hands just outside your legs, then lower your hips until you create a 45-degree angle with your back and the floor, lastly lift the bar by straightening your knees and hips, then repeat this process five to ten times. Every week make sure to do at least three to five sets of this exercise, make sure the form is correct. If your back muscles are weak and your chest muscles are too tight, you may suffer from a common back irregularity called upper cross syndrome, otherwise known as hunched back. One of the programs that could help is the face pull. In order to do it, use a cable machine and the rope handles. Set the handles at the same height as your head, pull your shoulder blades together, and then bring your hands down towards the face. Perform 12 repetitions of this and do 3 sets each session. This exercise is known to strengthen the leg and core muscles. Tightened lumbar, abductors, and hip flexors can also cause poor posture, but goblet squats can help correct this. Place your feet on the floor firmly, using both hands grab a dumbbell and place it in front of your chest. Bend your knees but keep your back straight, and then push your hips backwards and carefully lower your body with the position maintained. Then straighten slowly and repeat this 10 times. Do 3 sets per session. Planking was a fad a few years ago but little did everyone know that planking is helpful to those who have weak core muscles. Lie on your stomach then using only your elbows and feet lie in a prone position and hold it in as long as you could by tensing your abdominal muscles. Perform two to three sets of this each session. Weight training is not as hard or scary as you think; always consult an expert to guide you through the process. 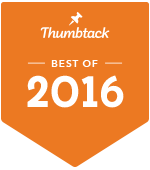 The best personal training fitness program in Bham, Al. is only a few miles away if you live in Pelham, Helena, Alabaster, Montevallo, Calera, or Chelsea even.